You probably don’t think twice before stepping onto an elevator or escalator during your daily activities. Whether you are commuting to work, shopping at the mall, or spending a night out on the town, you assume that the elevator or escalator you are using is perfectly safe and sturdy. However, in truth, tens of thousands of people are harmed each year using these forms of transportation and dozens suffer fatal injuries. At Van Sant Law, we are committed to helping injury victims and their families collect compensation and find justice after elevator and escalator accidents. To secure legal representation with us, please call us today. Elevator accidents are usually caused by maintenance issues, defective elevator parts, or elevator owner negligence. A large number of elevator accidents take place on construction sites and involve on-the-job workers who are either working on elevators or taking elevators to job sites. 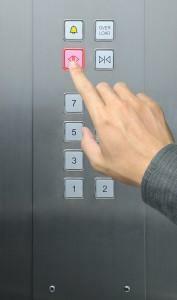 Another significant percentage of elevator accidents involves elevator repairmen and doormen. While many people know that elevators can be dangerous, fewer know that each year escalators cause serious injury and death, especially among young children. In fact, according to the National Institute of Health (NIH), about 10,000 escalator accidents necessitate a trip to the emergency room each year in the United States alone. Who is to Blame for Elevator & Escalator Accidents? Was the escalator or elevator properly maintained, serviced, and inspected? If the escalator or elevator was being repaired at the time of the accident, were warning signs present and visible? Did the elevator or escalator have a history of malfunctions or accidents? Was the elevator or escalator in any way in violation of city safety and building codes? Was the owner of the elevator or escalator aware of past problems? Should the elevator or escalator accident have been prevented? Elevator and escalator accidents occur in many forms. Maintenance workers may fall into a shaft, be caught between moving parts, or be struck by elevators or counterweights. Passengers might fall into the shaft or the elevator they are in may fall. Clothing or body parts may become caught in between moving mechanisms of an elevator or escalator. Alternatively, certain conditions, such as a dangerously wet floor, may contribute to a simple slip and fall accident. In all of these cases, negligence may be a significant factor and a personal injury lawsuit may be appropriate. At Van Sant Law, we treat your injury case with the seriousness, assertiveness, and thorough attention that it deserves. The law requires that elevators and escalators are inspected and serviced regularly and that elevator and escalator operators keep their passengers and employees reasonably safe. If these precautions, rules, and regulations are not followed, property owners, inspection companies, service companies, maintenance companies, or even manufacturers may be found liable for an accident. If you have been injured in a Georgia escalator accident or elevator accident, seek legal counsel today. To learn more about your case, or to schedule a free and confidential consultation, please call Van Sant Law or fill out our online contact form and we will get in touch within 24 hours.